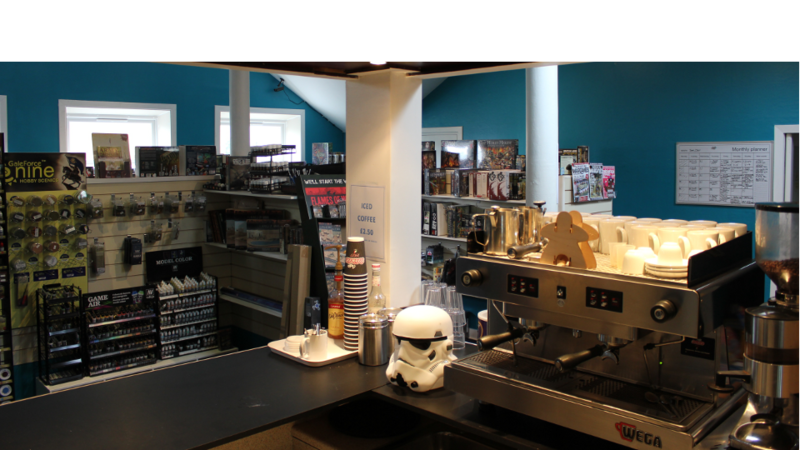 Our cafe offers full service Barista coffee with delicious Cafe Carrarro coffee. Panini, Wraps and toasties are prepared to order, snacks and cold drinks are also available. 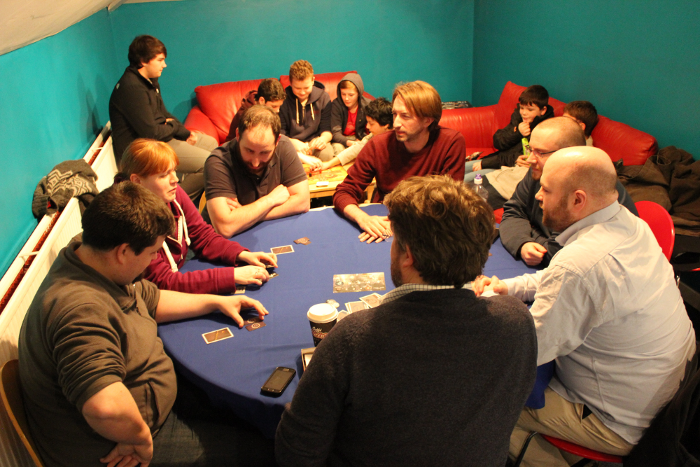 There is plenty of room to chill out with a drink and chat or get together with friends and run a game. Our sofa area is especially good for getting an RPG session in.